The primary step after the GMAT exam is reporting GMAT Scores to the various universities selected by the aspirant of graduate management program. If you’re applying to more than five business programs or if you weren’t sure which schools you wanted to send GMAT scores to on test day, you can always order additional score reports for a fee. If you did not select any programs to receive your scores on test day, or if you would like to send your scores to additional programs, you may order Additional Score Reports for a fee (you will also receive a copy). Each additional score report you send after test day costs $28 (even if you didn’t use all five of your free score reports on test day itself). In order to send additional score reports, you can either login to your account on MBA.com or contact GMAC customer service over the phone. However, there is an extra $10 surcharge for ordering your score reports over the phone. When ordering additional score reports, you need to have the name of the programs you’re applying to and provide a credit card for the $28 score reporting fee. Additional score reports are sent out within seven days of the request being received. Unfortunately, there is no way to rush sending GMAT scores, so make sure you order your score reports with plenty of time before your application deadline. You can order GMAT scores that are more than five years old by contacting GMAC customer service over the phone. Note that GMAC strongly discourages using older scores, as the format of the exam has changed in the last five years, and most business schools won’t accept older scores. 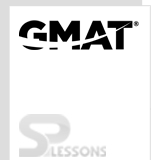 To order by phone: Contact GMAT Customer Service. An additional service fee of US$10 may be required for phone transactions. To order by mail or fax: Complete an Additional Score Report Request form. You must include proper payment with the form, as described in Pay for the Test. Requests received without payment or with insufficient payment will be returned without processing. Keep in mind that it may take up to eight (8) weeks for mail to reach the United States from some countries. There are two approaches to send GMAT scores to business schools. The free option is accessible on test day and is helpful in the event that you already have decided on the schools you need to get your scores. In any case, on the off chance that you are unsure and need time to pick schools, the paid option is available before you. Give us chance to look at each of these alternatives to send GMAT scores to business schools in more detail. Your GMAT registration fee enables you to choose up to five business schools where you wish to send your GMAT scores without any extra fee. In any case,remember that once the selections have been influenced, you can not change or erase them. In this way, you should to be certain sure about the schools you need to get your GMAT scores. You should utilize the free alternatives to send GMAT scores to business schools on the day of the GMAT test after the test is finished. You can choose up to five business schools which you need to get your scores. You additionally have the choice to cancel your scores if you are not happy with your scores. GMAT enables you to review informal scores of your test quickly after the test is finished. You are given two minutes to acknowledge or cancel your informal GMAT scores. On the off chance that you do not make a choice, your GMAT scores will stand cancelled. Official Score Reports are generally sent within 20 days from the GMAT test date. In the event that you don’t utilize the free options available on test day to send GMAT scores to business schools, you need to order Additional Score Report for a expense. Likewise, if you need to send GMAT scores to more than five schools, you need to ask for additional score reports. Paid options to send GMAT scores to management universities: Charges and other details. Each Additional Score Report costs US$28 dollars. Extra Score Reports typically take seven days once the official score becomes available. You can make requests for extra score reports by phone or via mail or fax. One of the interesting features of GMAT is the Preview Option which enables you to see your unofficial GMAT scores. Also, in view of the informal score, you can choose whether to send GMAT scores to business colleges or not. Unofficial scores are accessible instantly after the test is finished; you should take a choice to send GMAT scores to business schools, or cancel off them before leaving the test center. You can see unofficial scores of: Integrated Reasoning, Quantitative, Verbal and Total Score. Score of Analytical Writing Assessment, in any case, isn’t part of the the unofficial score and is just reported about the authority GMAT score. On the off chance that you don’t take a choice, your scores will be consequently cancelled. There is no charge for cancelling scores on test day; for cancelling within 72 hours online, the charge is 25 dollars.